Are You Cursed With Werewolf Back Hair? If you are, the Silencer might be just what you need. 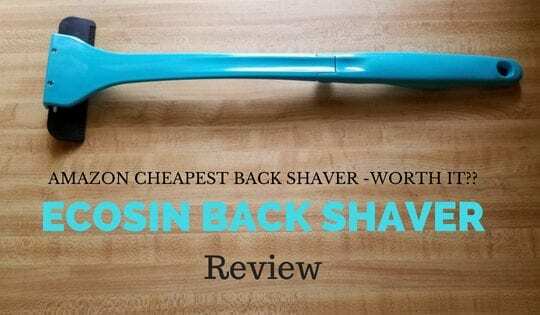 In this review, I will be detailing the Razorba Silencer, which is the middle of the line product in both price and feature at Razorba. So, if you are in need some light shaving or a heavy scything of dense thick back fur, the Razorba Silencer might be what you’re looking for. 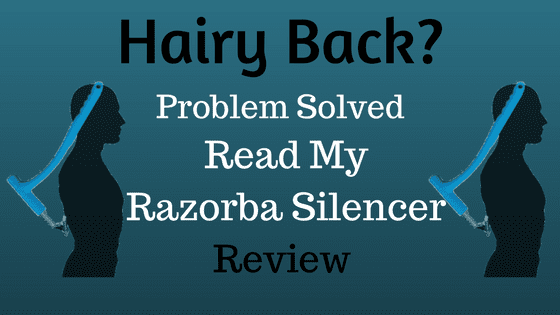 In this post, Razorba Silencer Review, I hope to help potential customers decide if the Silencer is right for them by providing a detailed review and also highlighting the differences between the 4 other Razorba back razors. 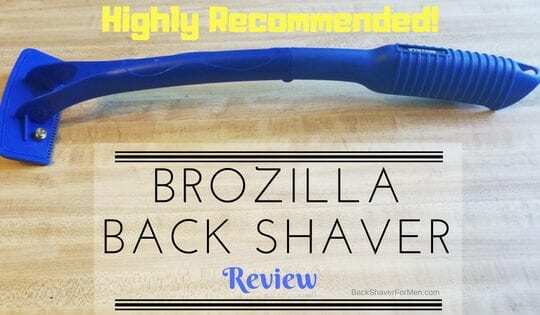 I wrote an article on the Razorba Classic, you can read about it here, Razorba Back Hair Shaver Reviews. It a step below the Razorba Silencer. 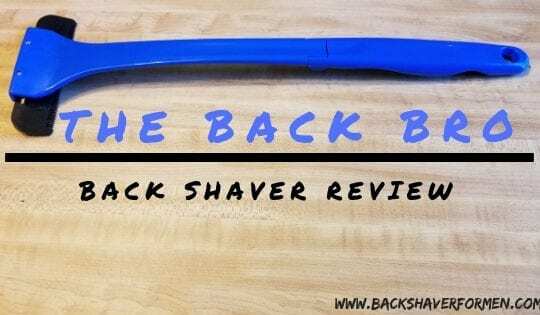 I also wrote a review on the Razorba GOAT, an extra wide disposable razor, to read more about it head over to my post here, Razorba GOAT Wide Disposable Double Razor Review. For those that are not familiar with the Razorba system, the Razorba system uses a handle that is curved and has an opening in which a standard beard razor can fit inside. This allows one to avoid having to purchase a different set of razors if one is inclined not to want to complicate the matter. This method of shaving works with a standard razor, but to turbocharge it…you can purchase the Razorba GOAT. It’s an extra wide G.O.A.T made by Razorba. The GOAT is a whopping 4 1/2 inches across and in my opinion is the only really practical option for using any of the Razorba systems of back shaving. For a complete list of razors that fit the Silencer see Compatible Razors below. It allows the convenient of shaving your back by yourself. 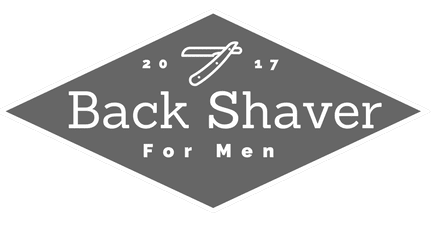 The long black handle with a slight angle to it easily reaches the usually unreachable areas of the back, once a razor is inserted within. A few notes on inserting a razor, as it is easy and quick. Also, the razor stays pretty much locked in the position when saving. I was a bit skeptical at first about its ability to stay fixed when shaving but was pleasantly surprised it didn’t even budge. The handle is also very ergonomic and is intuitive in its use, at least that is my conclusion. To start, we should first delve into the company first. Razorba has been in business since the early 2000’s, 2003 to be exact and has been featured on many popular TV programs as well reviewed in distinguished magazines. They claim to be the first “The Original” shaver for back hair and probably is the original. This adds street cred to it reputation as a general rule a product that been around for a number of years is surely doing something right. As it signs that the product is selling and somebody is enjoying it as well. Why Should You Buy The Silencer Over The Classic? The Razorba Silencer has a few more design features over The Classic Razorba, I will highlight these to see if these features are worth the extra frogskins. First off, the Silencer has a way cooler name, who is being silenced the rude people that might comment on your growth of back hair possibly? We could all do with a few less negative comment that are thrown our way. Am I right, or what? Secondly, the Silencer has Hamr Grip 1 technology. What is Hamr Grip 1 technology? That is a very good question and I am glad you asked. The Hamr Grip 1 is compatible with all the same razors as the original Razorba Classic but will work for the Gillette M3 Power. This allows a slightly bigger hole in which to insert a little wider razor within. Thirdly, the Silencer is more beefy, to put it bluntly. The Classic was molded with a one mold process that left it with a hollow interior, which could potentially be more susceptible to breakage. Not only breakage but also the lack of heft, left a little sense of unwieldiness. For the Silencer, it for sure feels better to wield and provides a more solid overall feel to it. This is roughly about twice the weight of the Classic. This will last a lifetime, barring you don’t use it as a hammer. Now, you have to decide if the jump in price is worth for the value gained by the features in the Silencer. If you currently shave with the Gillette M3 Power, and don’t want to switch to any other shaver, it might well be worth it. Also, the Silencer won’t break as the Classic might eventually due to its hollow body. That universal saying applies, “You get what you pay for”. Ability to use your current razor instead of purchasing another razor system. More razor compatibility than the Razorba Classic. And when more I mean as 1 more (Gillette M3 Power). Has a lanyard at the end for easier hanging in the shower or for not dropping when shaving in the prison shower. Beefier and heftier. Molded with a four-step processing that creates a more solid and strong shaver. Will for certain last a lifetime, as long as you don’t hit fly balls with it. I enjoy the simplistic nature of the Silencer, as opposed to the back shavers on the market that are battery operated. With a proper razor inserted within the Silencer, you will get a good smooth shave. Offers a considerable cheaper method of riding your back of the hair, than waxing, laser treatment. No chemicals to irritate skin. I love the option of purchasing the Razorba G.O.A.T wide blades, as these blades are wider and cut hair with ease. I recommend these if using any of Razorba systems of cutting back hair. It allows you to be self-sufficient in shaving your back hair. Not depending on other people to help you. Tons of positive feedback on this. Comes in the mail packaged discreetly. Mailman doesn’t need to know…right? Maybe the substantial bump in price isn’t quite worth the features the Silencer brings to the table from the Classic. $35.00 jump from the Classic to the Silencer. If using a standard ordinary face razor, one would be hard-pressed to complete a thorough shave on such a gigantic area such as a back. Using a standard razor, the use of shaving cream is recommended. This is another step in the process. This can be avoided by using the Razorba G.O.A.T wide disposable double razors, as you can use them either wet or dry. It just plastic, seems like a high mark up on this. Razors Compatible With Razorba Silencer? For extra thick hair and not using the G.O.A.T wide razors, some people have used tape to attach an electric clipper like a Wahl Groomsman, to knock down the bulk of hair then to finish off with their regular razor. This prevents a lot of the clogging, especially if you have long back hair. This is helpful if you neglect to shave for a while too. Buy the G.O.A.T Wide Disposable Double Razor! You won’t go back to a regular size razor once you do. Less time for certain. Vary your approach, try wet and try dry to see what works best for you. To help determine if Razorba Silencer is a good match for your personal situation, I ran through many of the features both positive and negative. I do believe the Silencer is a step up from the Razorba Classic, but depending on your finances it might not justify the money. But you get what you pay for, as the Silencer is surely not going to break and will last well into your old age. Maybe even passed down, oh wait that’s disgusting! Nevermind. For my personal preference, I would go with the Razorba GOAT razors. As it is more money, but far cheaper than waxing or laser treatments, the amount of time you will save alone, it will be well worth it. Just be prepared to properly clean the hair up afterward. Unable to rank Performance, Comfort and Ability Not To Clog as this doesn’t come with a razor. Slight movement of razor when inserted into Silencer. A slight improved angle over the Razorba Classic. 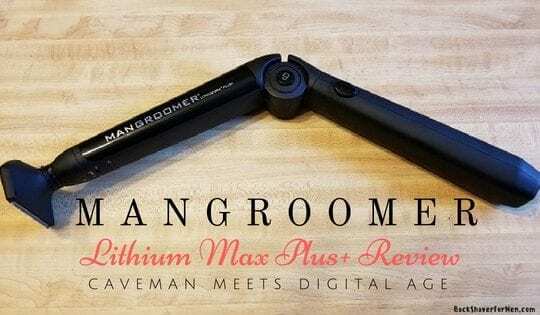 The strength of this is your able to use your current beard razor or disposable with this system. Would love to hear any comments or questions. Thanks for reading!